If we want to establish the origins of astrology it is impossible to provide a definite answer. It can certainly be said that from a certain period in human history, the notions and astrological considerations are not transmitted only orally but some traces begin to appear in written works of antiquity.We can say this in the light of philological studies that in actual fact have largely clarified the lines of a cultural, literary path that reflects the historical circumstances of the man’s past. Recently, thanks to some works which have been translated and interpreted, it is assumed a birth of the written astrology at least since 3000 B.C. in Mesopotamia by the Chaldeans. From this origin which is also linked to the subsequent historical events, there is the communication and circulation of such knowledge in the Greek civilization, in Egypt, China and India. Astrology was born as an oracular discipline observing the positions of planets and stars. Subsequently it is created the zodiac as we know it today and, consequently, the birth horoscope and the natal chart begin to be interpreted. “If we set out a path which is only apparently a return back in time to historic and cultural moments that have also encouraged a literary output of which there is consistent evidence of the principles and foundations on the basis of astrology, we can identify a representation in which the starry sky and the earth of living beings are placed in relation to each other. In this close relationship ideality and physical, biological aspects are understood and observed. The whole astrological framework of antiquity moves from a need to describe an all-embracing reality including biological, sensory, animistic, ideal and spiritual aspects following paths that could be called “religious philosophy”. This observation regards what happens to physical body, customs, morals, ethics, religion, but also to individuals and communities, to rulers and people on earth, in the seas and in the air. Everything is put under observation and in the relationship of heaven and earth everything finds a connection, a correspondence that man, to some extent, is able to interpret (text by Giuseppe Bezza, from the lessons of the School of Classical Astrology of Milan) “. When we talk about astrology you can understand astrolatry, worship and adoration of the celestial bodies that were considered as gods. If we consider what happened in the Babylonian culture, we observe the development, over time, of a complex astral religion which mixes elements of astrolatry and astrology but, in general, astrolatry not always develops in a subsequent form of astrology. Currently, the prevailing opinion among scholars distinguishes two phases in the development of astrology, which are separated by several centuries. The first line of development, in which there are still archaic forms of astrolatry, bases its predictions on celestial phenomena and atmospheric phenomena. It is part of an art of divination that relates to general events affecting entire communities and it is called judicial astrology. The second line considers the development of a more evolved form characterized by the presence of the horoscope or natal chart, also called horoscopic astrology. The observation concerning the individual, in which it is important to note down the moment of birth, is called birthday astrology. Astrology in general is associated, as we said, with the term of judicial astrology , which has reached its final form that allows you to make predictions and forecasts based on astronomical phenomena and events related to the earthly world and human beings. 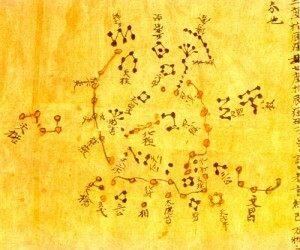 Astrology, which refers to general events involving populations, cities, entire regions and meteorology: the events that influence the fate of kings, social events and wars, the course of crops and famines, natural disasters; this is the universal or catholic astrology, which is today known as the world astrology. Astrology, which draws judgments and predictions that affect the individual from an examination of the positions of the stars in the instant and place of birth or conception, is called birthday astrology which is also defined by some scholars with the term horoscopic astrology. In this field there was the development of a medical astrology, a type of astrology founded on the principles of the theory of humors, which joined the medical art and mathematics that was called iatromathematics. 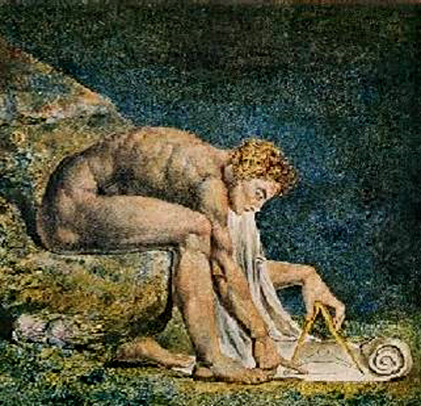 The astrology that aims to establish a favorable moment for the start of an activity takes the name of electional or katarchic astrology – of the beginnings and principles – (katarchai); the astrology that answers questions of the questioner, from the positions of the stars of that time, is called the astrology of questions (erotêseis: questions). Both these forms of responses are part of what, in modern times, took the name of horary astrology. When we refer to the history of astronomy and astrology, there are two views corresponding to different ways to conceive the development of these disciplines over time. An – Anglo-Saxon line – tends to consider astronomy only those observations that, by their primitive formulation, tend to mathematize phenomena. According to this line, there is astronomy only where there is mathematics. The second view, on the contrary, recognizes a greater antiquity to the discoveries and considers astronomy all that, from the observation of the heavens, belongs and comes to any form of philosophical speculation . Astrology in its complete form expresses itself through the observation of real and apparent motions of the celestial bodies. The birth of a real astrological grammar becomes possible when all phenomena are reduced to mathematical forms that allow observing their periodicity. This is achieved by gradual development which can be not necessarily uniform, as it is related to the history of peoples. Although there are links with previous forms of astrology or astral divination or astrolatry, the lack of documents makes difficult to assign precise dates, while there is certainty of a development occurring in Mesopotamia in the first millennium B.C. 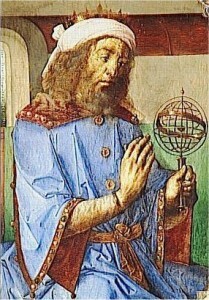 The spread of astronomical and astrological knowledge occurs among Mesopotamia, Egypt and Greece, Iran and India, until the Hellenistic period where astrology comes to the form we call classical. It follows a period of development in the Arabian world and culture and in the medieval West, and later on its decline. In order to learn more about what can be formulated on the main issues and what responses can be drawn from the individual astrological examination, according to the procedures of the past, you can contact the author of the site. With the term “judicial” we mean what is recognized as peculiar of a science that allows coming to conclusions and judgments and in this sense the term refers to a fully developed astrology. Its origin is in Greek term apotelesmatikâ which refers to judgments about events that carry out. The Arabs create the term “science of the decrees or judgments” or “science (art) of the decrees of the stars”. In the Middle Ages the distinction between the two terms, “astrologia iudicialis” referring to astrology, and “astrologia quadrivialis or doctrinalis” referring to astronomy, becomes consolidated. Otto Neugebauer is the main representative of the Anglo-Saxon line. Other representatives are Toomer, Pingree, Dicks. As regards the second current of thought, we can mention two Assyriologists, Weidner and van der Waerden, and two Hungarian researchers, Szabo and Maula.